At Northwell Health, our Advanced Clinical Providers have the resources and support they need to follow their passions, wherever they lead. Chris Summers’ passion for delivering Truly Compassionate care led him from a career in the Coast Guard to one as a physician assistant in the operating room, the classroom, and into disaster areas throughout the world. Chris started his career as a member of the U.S. Coast Guard where he was mostly involved in maritime search and rescue as well as counter-narcotic operations in the high seas of the North Atlantic. After the Coast Guard, Chris became a paramedic on the streets of New York City, eventually studying to become a physician assistant (PA). At Northwell Health, he found an environment where veterans were especially valued for their experiences and values. “Northwell Health is very pro-veteran. The health system values their experience and expertise and understands how that can translate into a veteran becoming a superior member of our healthcare team. 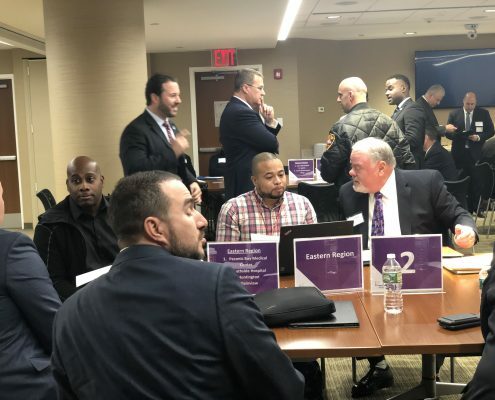 Northwell has many programs available to assist veterans to integrate into the civilian healthcare sector and there are many veterans who are valued team members in every level of the organization,” says Chris. The healthcare experience Chris has built along his career path across a variety of Truly Compassionate positions led him to Northwell Health. Chris enjoys that ACPs in the cardiothoracic surgery department can work at the very top of their license and are given a large amount of responsibility. They can be found anywhere from the operating room assisting in the most complex surgeries, to the floors managing the daily needs of recovering patients. 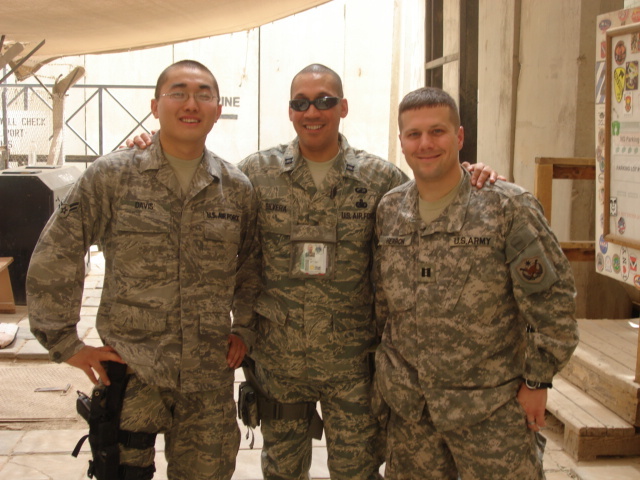 Once he became a critical care specialist, Chris felt the call to share his knowledge with his peers. Northwell recognized Chris’ gift for teaching with a promotion in 2016 to Quality Assurance and Education coordinator, which included coordinating various aspects of staff education such as a lecture series for the Thoracic Surgery service line. For Chris, Truly Compassionate patient care is always at the forefront of his mind and helps him to be a better PA.
For the fifth year in a row, Northwell Health has earned a Military Friendly® Employer designation! We’re celebrating by speaking to veterans like Rose Powers, RN to get their perspectives on working with us and the opportunities for veterans and reservists at Northwell Health. Explore all Revenue Cycle opportunities today. 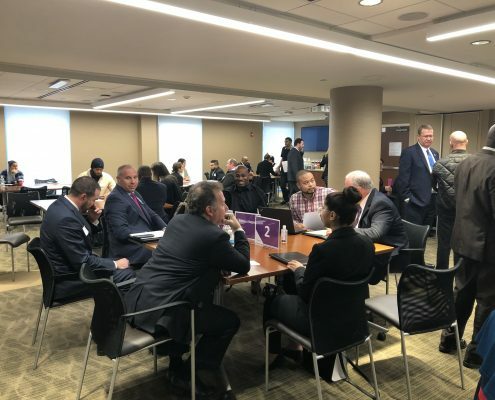 In honor of Veterans Day, Northwell Health recently hosted a Veterans Day Interview Day: Hiring for Success. This event was to honor and give back to veterans who have served and sacrificed for our country. 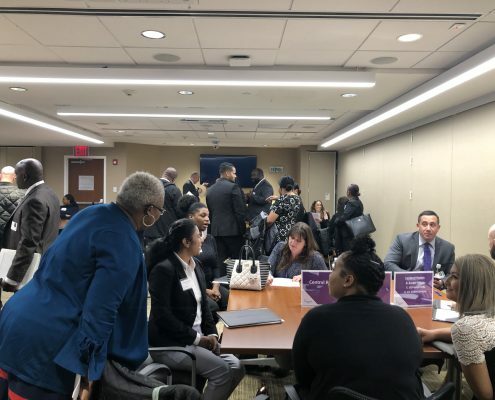 More than 40 veterans were invited to attend this event to hear from senior leadership, meet with hiring managers to discuss potential job opportunities, and network over lunch. At Northwell, we’re committed to providing veterans with opportunities to make a successful transition to a rewarding civilian career. Veterans align to our values and bring strong skill sets from their experience. Being mission driven, knowing the importance of community, thinking strategically and working closely on a team are important skills for all Northwell employees to possess. “I am so proud to work for an organization that is committed to helping veterans who have sacrificed so much. 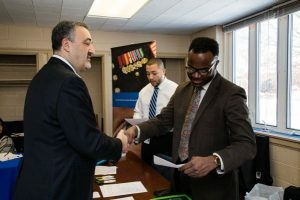 Hiring Veterans is the right thing to do, plus the great skills they possess are an asset at Northwell,” said Cheryl Davidson, MPS, senior director of Workforce Readiness, one of the teams who helped to launch the event. The day started with a keynote from Mark Solazzo, executive vice president and chief operating officer. Mark thanked the veterans for their service and commitment to our country, while also speaking to the importance Northwell places on hiring veteran employees. Veterans were even surprised with a visit from our president and CEO himself, Michael Dowling! Michael spoke at the event and met with the attendees during the networking session. 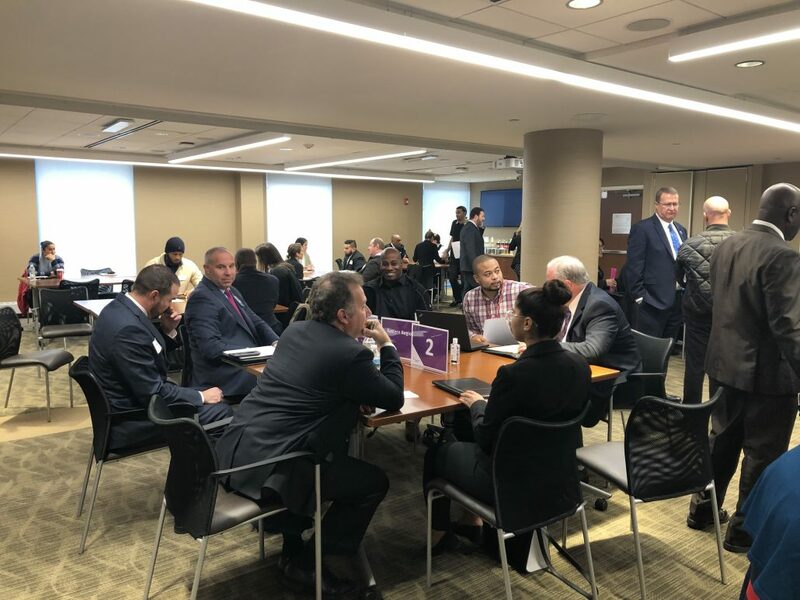 After hearing from Mark, Michael and Lyndon Chichester, Northwell’s veteran inclusion specialist and United States Air Force Veteran, veteran attendees were invited to network with Northwell leadership over lunch. 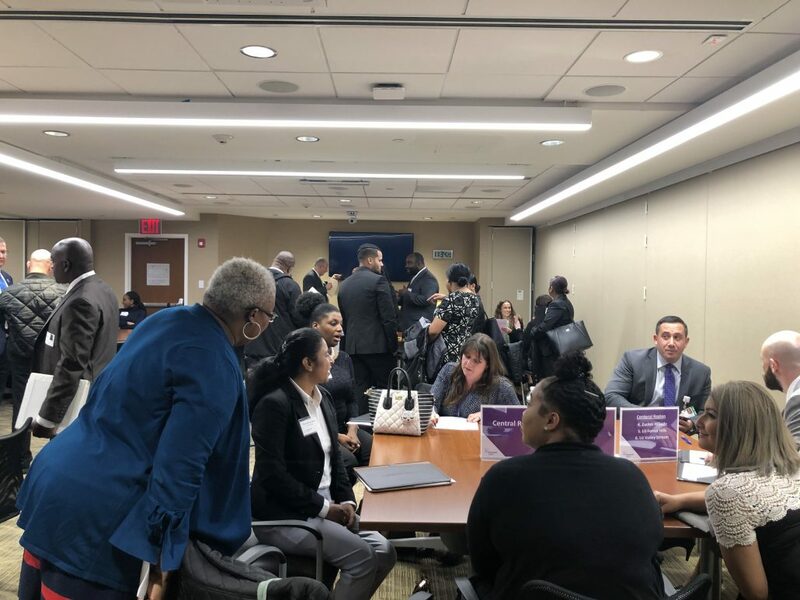 Attendees also met with our recruiters who then matched them to speak directly with the appropriate hiring managers and regional leadership to discuss job opportunities. 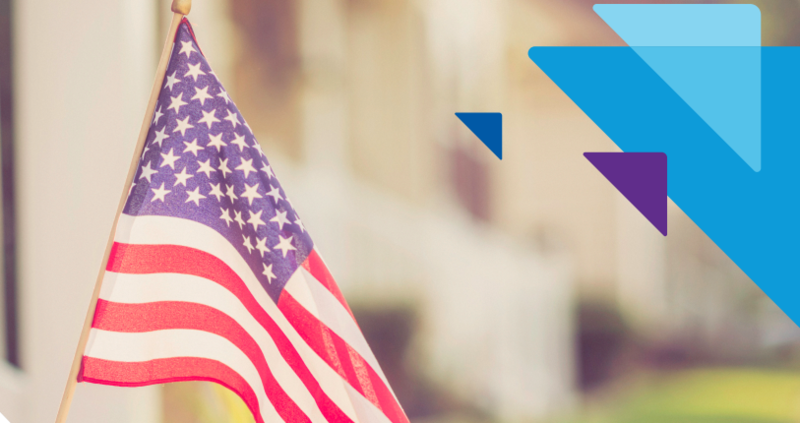 Northwell Health is committed to our veterans, their career transition, and their growth. If you’d like to learn more about our veterans programs, please visit jobs.northwell.edu/veterans. Check out some more pictures from our event! One of the many things we’ve learned from listening to the former military members on our team at Northwell Health is the power of working together with others who share your goals and mission. 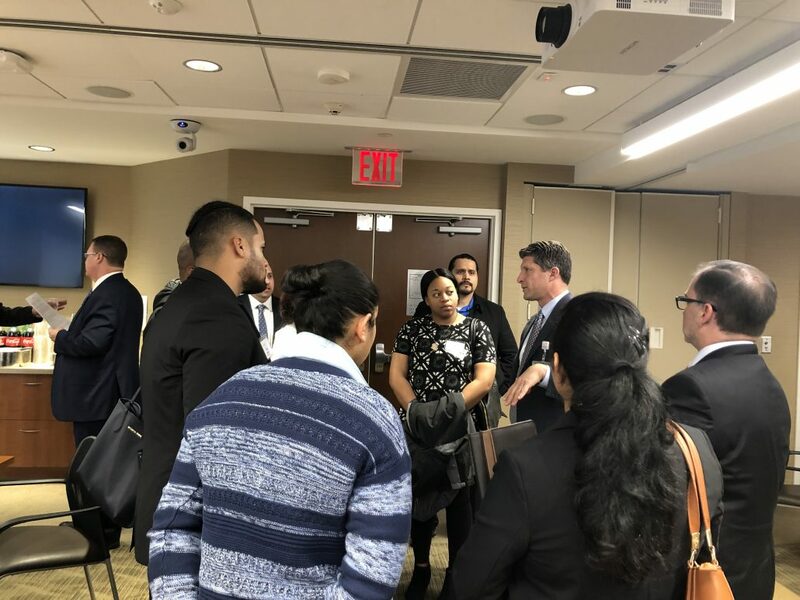 We talked with several military veterans on our Northwell Health team to get you the best advice on how to take your military skills and apply them to a civilian job in healthcare. 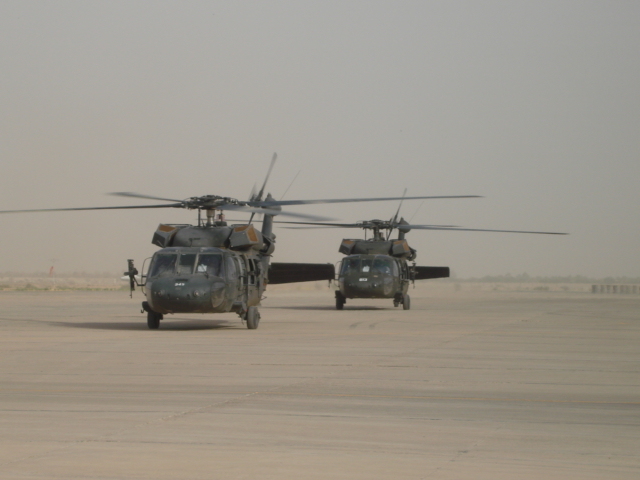 They reminded us just how valuable their military training has been to their careers. As part of our unyielding commitment to supporting veterans we encourage you to register for our Northwell Health Veteran Interview Day on November 9. 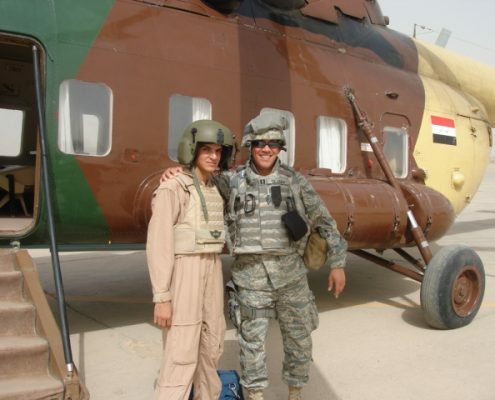 Hear advice directly from military veterans who have been in your shoes! We asked our team members for their best tips on making the most of your military skills in civilian careers. “Being organized and disciplined” is critical in any endeavor, says Melonie C. Pernice, RT (R), MBA. “Having the ability to follow through on assignments, even in difficult or stressful situations” is one way the military prepared Melonie to shine in her role here as administrative director of radiology and cardiology at our Plainview and Syosset Hospitals. And we couldn’t agree more with our veterans! If you’re ready to connect with an opportunity like no other – one where your unique skills can continue to make a life-changing difference – join the Northwell Health team. It took one event, one meeting and one conversation to convince Nancy Banks that Northwell Health was the right place for her. Nancy has no regrets about her decision to join Northwell Health. “Transitioning to a new position is one of the most unnerving things I have done, so I wanted to make sure that I picked the right company,” Nancy says. “After working with Lyndon, I knew Northwell would be an exceptional organization, because he was exceptional.” Nancy is living proof of the benefits of Northwell Health being a Military Friendly® Employer for five years in a row. 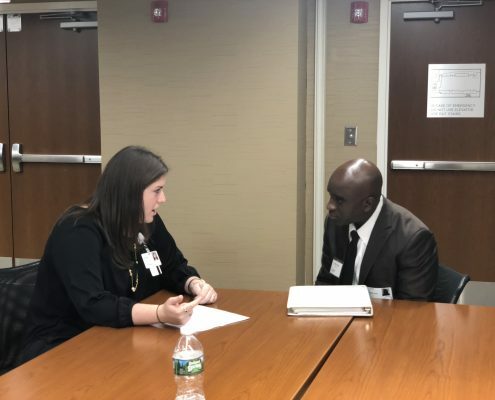 If you’d like to be part of an organization with an unyielding commitment to supporting veterans, take the first step at the Northwell Health Veteran Interview Day on November 9. Network and interview with hiring managers and executives, hear from keynote speaker Mark Solazzo, Northwell Health’s Executive Vice President and Chief Operating Officer, and much more. Register for our Veteran Interview Day here! For the fifth year in a row, Northwell Health has earned a Military Friendly® Employer designation! We’re celebrating by speaking to veterans like Floyd Harris to get their perspectives on working with us and the opportunities for veterans and reservists at Northwell Health. Floyd is a Route Service Representative, a position where he plays an important part in providing customers with excellent service — and he knows that his work helps to make Northwell Health successful. His favorite part of this work is “providing our customers with the service they desire and the ability to build a rapport with everyone that I meet daily.” So, how did Floyd get this job he loves? Floyd believes all the credit for his civilian career transition goes to his wife, Keri, of 16 years. A few months into her new job at Northwell Health, she would come home and share her love of her workplace culture. She thought Floyd could find a post-military career here that he’s Made for. So, she reached out to the Northwell Veteran Inclusion Specialist to see how they could help in the hiring process. Floyd’s wife brought him to the right place. Floyd says, “After retiring from serving our country for 20 years in the Marine Corps, Northwell Health has definitely helped with my transition into civilian life. Thus far it has been a great place to work and it enables me to have a work-life balance.” He also credits his managers, supervisors, and trainers that have assisted him in efficiently getting his job done. Northwell Health is Made for giving our employees a place where we can all be Truly Ourselves. For veterans, that means giving them the support they need to use the skills and drive they gained in the military in a civilian career through various initiatives and programs. This emphasis on continually helping veterans has earned us a Top 10 ranking for Military Friendly Employers in Health & Pharmaceutical Services. When a member of our team goes on active duty, they shouldn’t take a pay cut. That’s why Northwell Health offers our military team members pay differential that makes up the difference between their military salary and their Northwell salary. It’s this kind of dedication to the military that has earned us a Military Friendly® Employer designation for the fifth year in a row. We spoke to former U.S. Navy hospital corpsman Davon Gass for an inside peek at what it’s like to be a veteran or reservist working at Northwell Health. Davon is a Patient Care Activist (PCA) at Lenox Hill Hospital, a position that has the most direct contact with a patient during their stay and assists nurses, monitors vitals, and reinforces safety precautions among other things. It’s a position that Davon describes as “allowing you to practice empathy in a practical setting.” Empathy isn’t just Davon’s job to give to patients, it’s our job to extend empathy to Davon and his family. We’re Made for giving our employees a place where we can be Truly Ourselves. 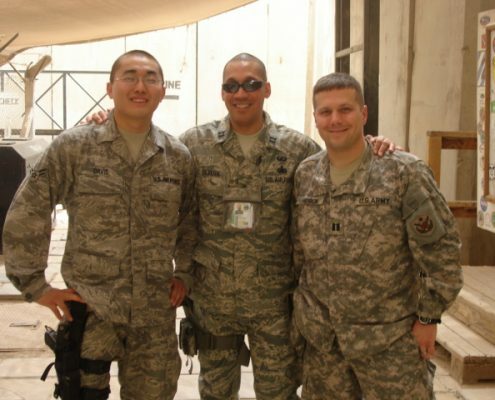 We’re thankful for their service, and work hard to support them while they’re in active duty and after. Veterans and reservists: we can do incredible things when we work Truly Together. Learn more about our programs for veterans and reservists here. A passionate commitment to her patients and team has followed registered nurse and Reservist Kelly Mahaffy throughout her career at Northwell Health that spans 30 years. 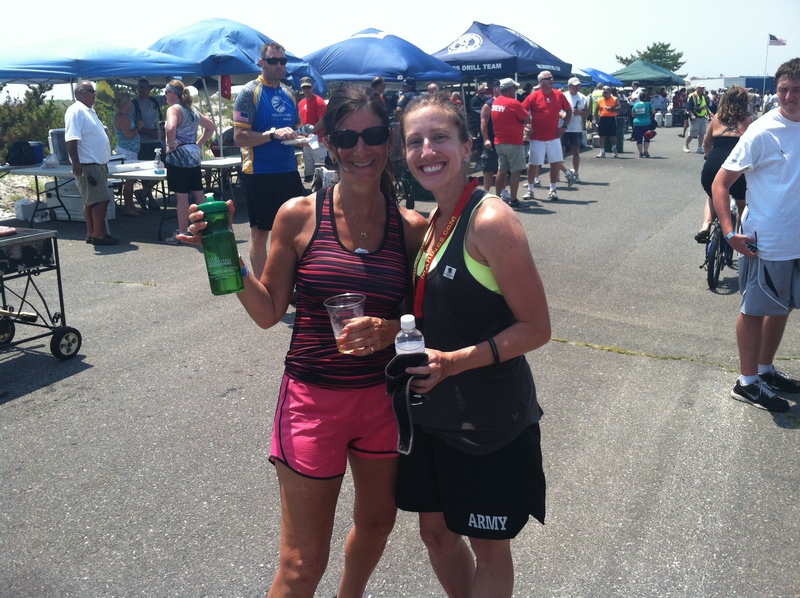 It’s this passion for service that helped Kelly flourish in the OR, whether it be in a Northwell hospital or during her active duty. Kelly’s career started in Manhasset Hospital as an OR nurse in 1988, following a successful clinical there in nursing school. Here she worked for 17 years on the evening shift, enjoying the diversity the evening shift brought and focusing primarily in neurology. 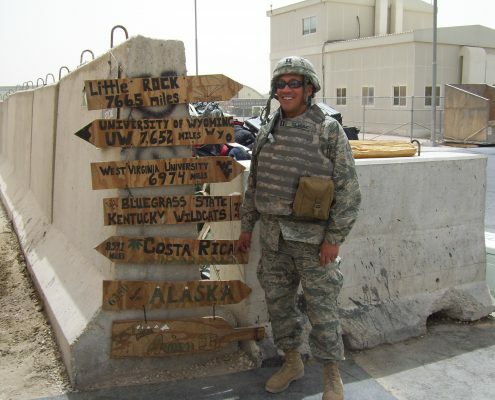 Her desire for travel led her to California in 2005, where she later joined the Army Reserves. When it came time to come home, Kelly returned to Northwell, accepting a position at Glen Cove Hospital in 2009. “At Glen Cove, we’re very proud of our hospital,” says Kelly, who is still an OR nurse there today, “We know when new surgeons come in, we have one chance to get it right and we do.” We’re proud to be able to have helped Kelly grow in her career with us while she continues to serve in the reserves. 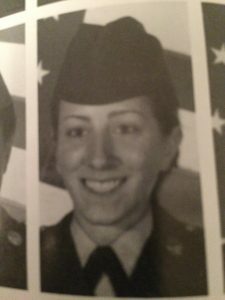 From 2017 to 2018, Kelly worked with other reservists at Womack Army Medical Center in North Carolina. Here she was part of the active duty service, taking care of active duty soldiers. 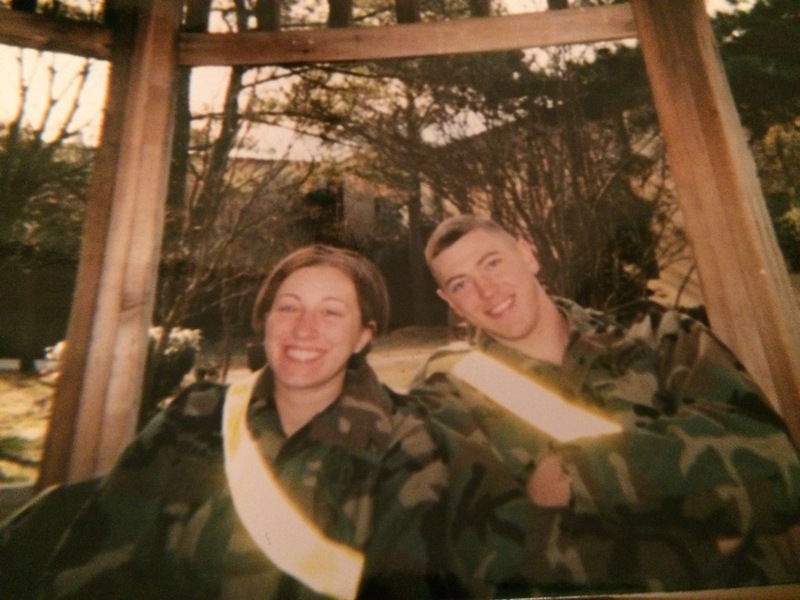 During her shifts, Kelly saw firsthand the sacrifices of those in the military and their families. 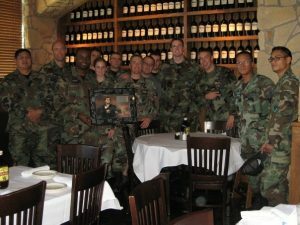 Working with these soldiers continually inspired Kelly. “It reminds you to be grateful for the freedoms we enjoy daily,” she shares. And we’re proud to have been named a Military Friendly® Employer for three years in a row, supporting veterans like Kelly and providing veteran services throughout their time with us, such as pay differentials and flexible scheduling for reservists. We’re committed to our veterans, their career transition, and their growth. Sign up to join our Veteran Talent Community. Change is rarely a smooth transition. 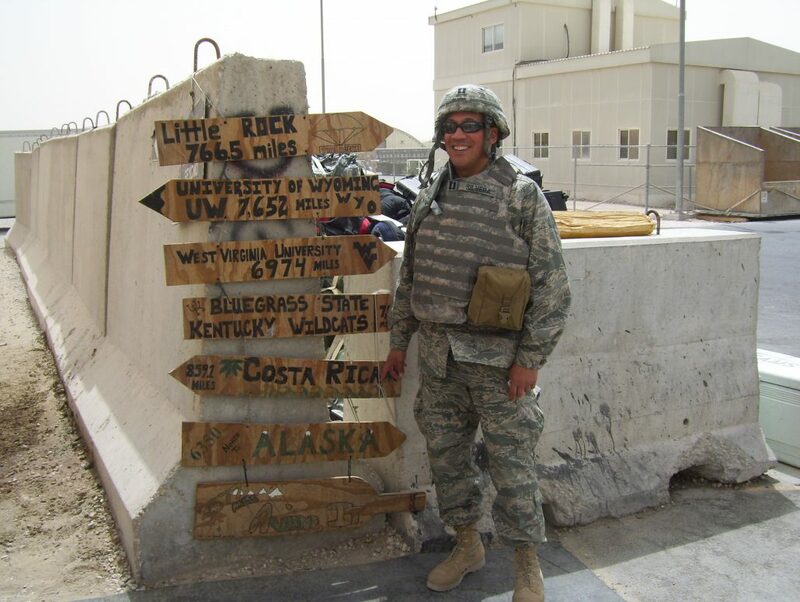 For Registered Nurse Eva Galan, the road back to civilian life was a challenge that she felt unprepared to attempt. 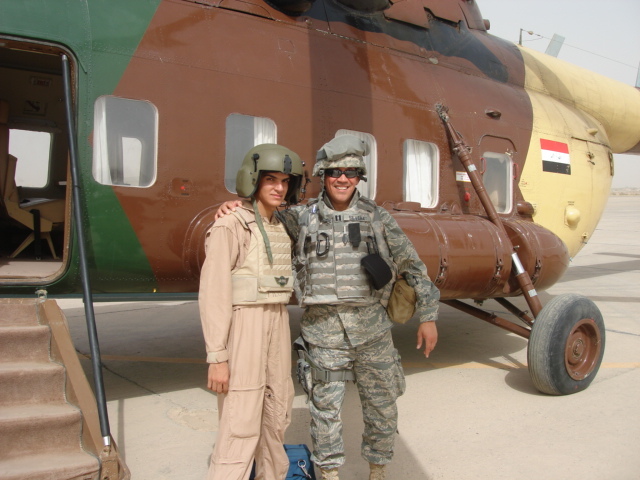 Eva had spent 10 years in the Army as a medic and was now seeking a civilian nursing position in the health care world. Though she had skills superior to fellow applicants, she found it hard to compete for local nursing jobs. That is, until she found Northwell Health. 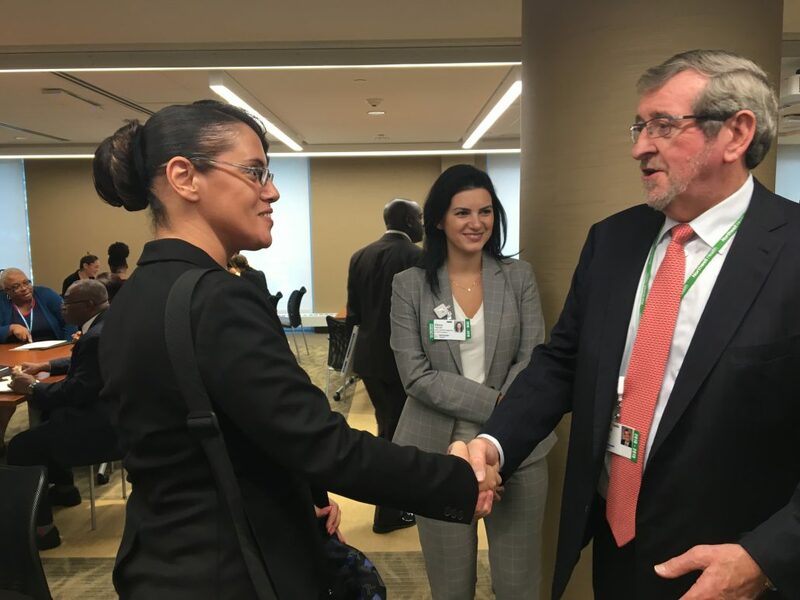 While attending a veteran-centric job fair at Northwell Health, she met a Veterans Program Specialist who showed her how our health care system has everything she desires to help her get the job she and her family needed for her career post-military. Northwell Health offers job fairs, veteran recruitment events, and webinars to support each veteran’s transition. In addition to these events, our Barracks to Business webinars and workshops cover practical needs like resumes, interviews, and networking advice with the goal of translating your military skills into career success. 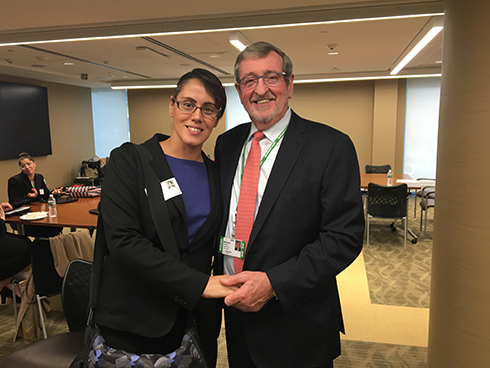 For many veterans, like Eva, the transition to a civilian career is a difficult one and our military services are designed to help veterans understand the job search process and create a strategy to pursue civilian employment while introducing you to vast career opportunities and benefits at Northwell Health. You’ve served us, now explore our veteran-focused events to help you grow your career. The Barracks to Business program started as a guidebook to help veterans prepare other veterans for civilian life. But we knew we could do more. We’ve since created in-person seminars that eventually led to Webinars so we could reach veterans no matter their location or situation. Now, veterans don’thave to wait to move to New York to get started on the next step in their civilian careers. 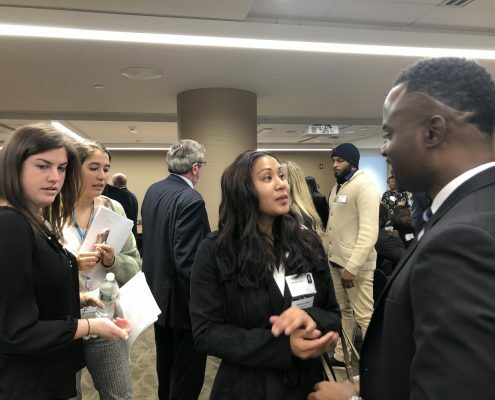 As we expanded the program’s offerings, we extended our reach by partnering with the Department of Labor and various N.Y. organizations and universities. 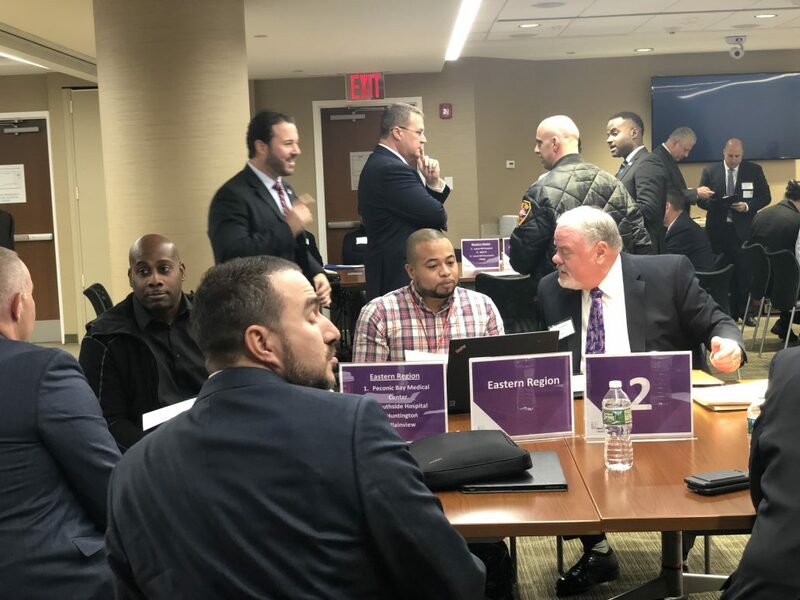 Then the program expanded even further, adding valuable education to Northwell Health employees by creating an internal Barrack to Business program for our recruiters, which armed them with the knowledge and tools necessary to understand the value of hiring veterans. After five years, Barracks to Business continues to grow and set the precedent for veteran outreach. 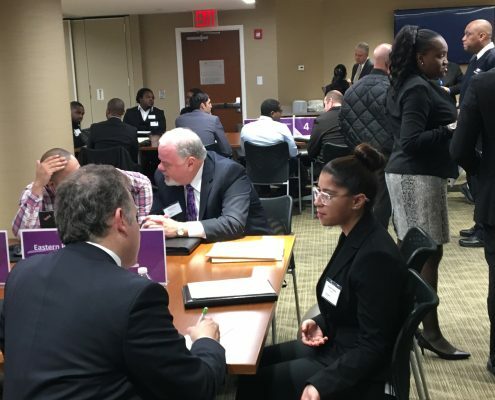 The network has expanded to over 200 veteran-focused points of contact in the N.Y. region including colleges, organizations and nonprofits. Barracks to Business is offered at college sites and when students are about to graduate, we invite them to our annual student graduation event for veterans. 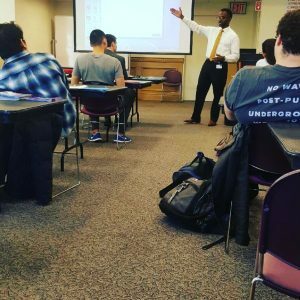 The program and our outreach has grown across the state of New York and, most astounding of all, the number of overall hires since the beginning of the program has grown by 110%! Here’s how Northwell Health can take you from Barracks to Business. Redefining the future of health care is a Truly Ambitious endeavor. It requires leadership that is also Truly Innovative and Truly Compassionate. Katrina Aronoff embodies all of these attributes. As a Chief Radiation Therapist at Phelps Hospital as well as a United States Coast Guard Reservist, Katrina lives out Northwell Health values in all areas of her life. Katrina recently received the Coast Guard Commendation Medal for Outstanding Achievement. 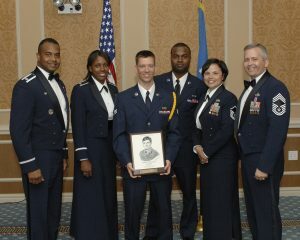 The award recognizes meritorious and heroic service to others. She received this prestigious commendation for actions on two separate occasions within a two-week period, while serving with the Coast Guard in Puerto Rico during Hurricane Maria. Coming off duty on October 28th and returning to her hotel, Katrina noticed a man lying unconscious on the ground. She quickly assessed the situation and had a civilian call 911. Checking the man’s vital signs, felt a pulse and confirmed respirations. She then requested assistance from the USNS Comfort – one of the largest hospital ships in the world – and helped Navy personnel insert an intravenous line and perform an EKG. On Nov 12th, as she left her hotel, she witnessed civilians lowering an unconscious female to the ground. She asked one of her shipmates to call 911 while she checked for vital signs. The woman was not breathing and had no pulse. She performed CPR and was able to bring the victim back. As she waited for EMS to arrive, the victim lost consciousness four times and her heart stopped beating. Katrina would not give up on her. Two days later, it was confirmed that thanks to Katrina’s intervention, the victim was alive and well. Whether in her role with the Coast Guard or as a key member of the Phelps Hospital Radiation Medicine team, Katrina Aronoff is a natural leader. She is always ready to take the initiative and do whatever the situation requires to help others and save lives. She is an invaluable asset to Northwell Health. If you’d like to learn more about Northwell Health’s exceptional women in leadership and the values that inspire them, we’ll be sharing stories from our Employee Lunch and Learn and providing an inside peek at how women in key leadership roles are making a dramatic impact and driving important change! Reservists face unique challenges as they balance a civilian job with ongoing military obligations. Just ask Reservist and Core Laboratories Clerk Davesha Taylor. Her Reservist duties include regular training that often involves weekday assignments overlapping her work schedule. We’re honored to be able to help Davesha grow in her career with us while she continues to meet her military commitments. We recognize that there’s more to helping our veterans than merely finding them a job. As a Military Friendly® Employer for three years in a row, we’re there to continue to support veterans throughout their time with us – such as offering flexible scheduling and pay differentials for reservists. For Davesha, her role as a clerk with us is just the start. Her vision and passion is to attend medical school to become a Forensic Pathologist, and we’ll be there to help her make this dream a reality. “Thanks to Northwell Health, my transition from the military has been smooth and easy,” Davesha acknowledges. Veterans like Davesha Taylor have sacrificed so much in the service of our country. At Northwell Health, we’re proud that they choose to continue their life of service with us. If you’d like to learn more about our commitment to your career transition and growth, please visit: NorthwellCareers.com/Veterans. My decision to enlist in the military emerged for numerous reasons. I grew up admiring my father and his service in the military, saw how certain benefits supported my family and the different educational benefits. I decided to join the U.S. Army right out of high school at age 17 through a waiver signed by my parents, and although the transition from military life to civilian life had the potential to be difficult, the military taught me how to keep calm in the face of chaos. Through my experience, I have learned how to work well under pressure, improvise, adapt and overcome. Towards the end of graduate school, I began searching for jobs related to my major in Industrial-Organizational Psychology and it was at this time that I learned about Northwell Health. I noticed that they offered many opportunities within my major and I also wanted to join their team due to their recognition as a military friendly organization and their commitment to veterans. I had heard through peers about their reputation for being a great organization that encompasses diversity and professional growth. I discovered that they were hosting a veteran recruitment event for which I applied and later led to an interview. Following the interview, I was hired and began my career at Northwell in 2014 as a Clinical Practice Plan Representative in the Central Business Office. While holding this position I was recognized as Employee of the Month and also nominated for Employee of the Quarter in 2015. After a little more than a year’s time, I transitioned to a Clinical Practice Plan Analyst on the Revenue Cycle Operations team. Within this role, I acquired a unique skill set, which allowed me to develop analytical acumen through SQL to write queries, as well as become the lead analyst and receive the myRecognition Execution award. With this acquired skill set, a year and a half later I became an Operations Manager for the Clinical Informatics team at the Office of the Chief Information Officer (OCIO) in 2017. At the beginning of my career, I was fortunate enough to become a member of the VALOR B.E.R.G (Business Employee Resource Group). Since joining this group I’ve had the opportunity to attend some events and share my experiences and stories with other veterans. VALOR is a program that brings veterans together to give them a chance to appreciate one another while also learning from each other’s experiences in the military and in their current roles within the organization, assisting veterans in gainful employment while promoting well-being. 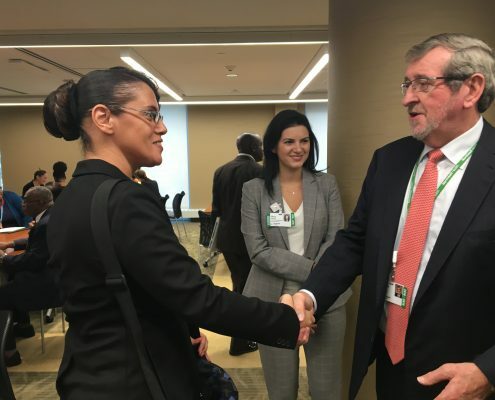 I take a lot of pride in working for Northwell Health and feel a sense of fulfillment in my role because of everything I mentioned above – they support Veterans through the hiring process. They support Veterans while they are a part of this organization. And they support Veterans throughout the communities. I am currently enrolled in the Six Sigma Black Belt Certification Program, have been accepted into the MBA program for Strategic Business Management and will be attending Hofstra University in the fall of 2017 with the help of the organization’s tuition reimbursement program. Being able to work within my field of study and the organization’s commitment to veterans is continuously gratifying. The health systems service to the community, as well as the abundance of genuine people, makes one take pride in being a part of such a rewarding organization. A career of life-changing service. A commitment to service, a spirit of compassion and a gift for leadership have always defined Desiree Gropp. Joining the Marines young, she matured during her military career while growing her sense of responsibility, dedication and determination. She would soon find how well these skills would transfer to her future health care leadership role at Northwell Health. As it happened, there was a need for a creative, open-minded and energetic Nurse Manager to drive important change in the Emergency Short Stay Unit while ensuring that care delivery and quality continued to meet our high quality of care standards. Knowing all of the challenges ahead, Desiree jumped in headfirst. She developed strong partnerships with colleagues while ensuring that the needs of patients and their families were consistently met. With the opening of a new unit at LIJ, she has again demonstrated that she is a positive change agent as she moved her team from an overflow to an inpatient unit, taking on the challenges with pride, grace and dignity. It’s a highly challenging position, but Desiree’s military background has prepared her well for it. “In the military, I learned to keep calm under pressure,” admits Desiree. “They instill that in you.” In recognition of her achievements, Desiree received the Northwell Health Leadership Award during the recent Nurse’s Week celebrations. For Desiree and other veterans, Northwell Health maintains a steadfast commitment to supporting them in their return to civilian life. We have been named a Military Friendly® Employer three years in a row, are proud members of Nassau County’s Welcome Back Warriors Program and the Veterans Jobs Mission, are the premier NYServes partner and participate in other programs committed to serving those who’ve done so much to serve us all. Veterans like Desiree have sacrificed so much in the service of our country. At Northwell Health, we’re proud that they choose to continue their life of service with us. If you’d like to learn more about our commitment to your career transition and growth, please visit jobs.northwell.edu/veterans. Connect with our Veteran Program Specialist and learn about our events tailored for veterans by joining our Veteran Talent Community. Interested in joining our team of nurses? Explore our unlimited career possibilities today. That is exactly what happened last week at our Veteran Graduation event. 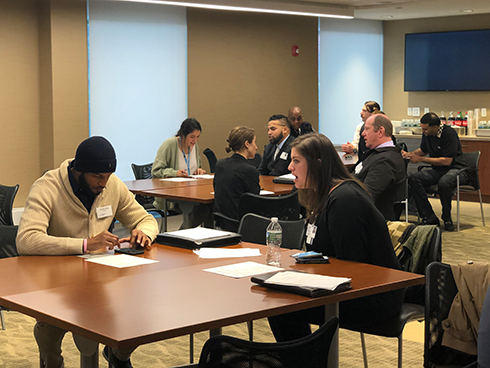 Put together by our Workforce Readiness Team, this event connected recent Veteran graduates with our recruiters in round-robin format. “It was such a pleasure to attend this event. 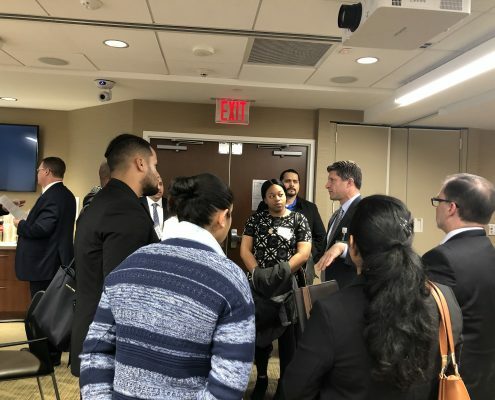 The size and time period allowed the attendees to connect with the recruiters individually and they were extremely knowledgeable and helpful,” said one of the attendees. With over 2,000 open positions, attendees were able to find a job that matched their Military background with the help of our MOS Crosswalk. After a nice lunch and some cake, they left with their resumes in our recruiter’s hands and a bond formed with our Veteran Program Specialist. “Our goal is to help as many Veterans as possible. If that means having events like this so they can get in front of our recruiters, then we’ll try to have one every month,” said Lyndon Chichester. Here, we’re committed to helping each Veteran continue their career journey. We’ve been named a Military Friendly® Employer three years in a row, are proud members of the Veteran Jobs Mission and other programs committed to serving those who’ve done so much to serve us all. Above all, we’re dedicated to giving Veterans the opportunity to continue making a difference in peoples’ lives, and our communities. Want to connect with Lyndon? Join our Veteran Talent Community. Each year at Northwell Health we set the goal to help as many Veterans as possible, and without the help of our Veteran Program Specialist, Lyndon Chichester, we wouldn’t have been able to hire over 500 veterans last year alone. It’s with great pleasure that I was able to sit down and speak with him the other day to learn about his transition home and what it means to him to help others who are going through the same process. On April 24 2001 at Fort Hamilton Military Base in Brooklyn, NY, Lyndon Chichester, with right hand raised calmly uttered “I, Lyndon Chichester, do solemnly swear that I will support and defend the Constitution of the United States against all enemies, foreign and domestic; that I will bear true faith and allegiance to the same; and that I will obey the orders of the President of the United States and the orders of the officers appointed over me, according to regulations and the Uniform Code of Military Justice. So help me God.” With that statement Lyndon began an 8 year journey in the United States Air Force. 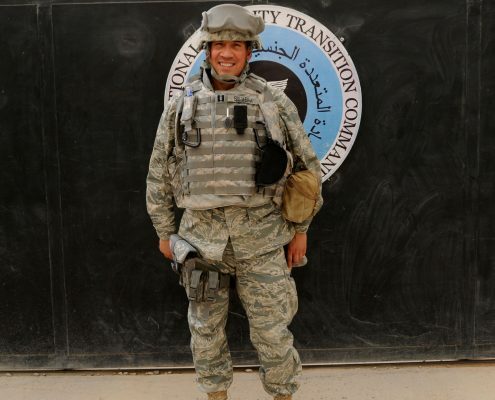 During this time he was a Computer Network, Switching, and Cryptographic Systems Specialist, stationed in Arizona and Virginia, both during Operation Enduring Freedom (OEF) and Operation Iraqi Freedom (OIF). Lyndon also completed various technical and military training in Texas and Mississippi. He later separated from the Air Force as a Staff Sargent at Langley AFB in October 2008, and received an honorable discharge. Subsequently, Lyndon moved to New York and attended New York University School of Professional Studies, where he earned a BS Degree in Leadership and Management Studies with a concentration in International Business and Global Management. As the season switched to Fall, Lyndon’s friend who was an IT contractor employed with another organization, gave him the business card of the IT recruiter that hired him. “When my friend gave me the business card I was very skeptical of my marketability as a candidate at the time and was expecting another failed attempt at employment. I didn’t know why I was calling this recruiter because my last IT related job was in the Air Force and 3 years had already passed.” The phone call was successful because Lyndon was invited in for a face to face interview at that organization’s Midtown office and was hired as an IT Account Executive, which in 3 months turned into an IT Recruiter role. “My two years at my previous organization was a great learning experience because it is where I learned what employers look for in candidates. 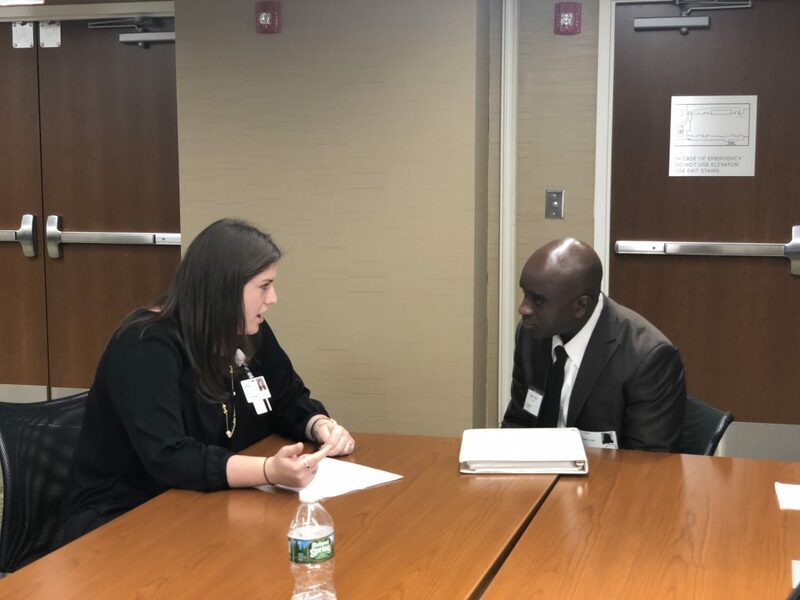 I also learned the art of the resume, recruiting, and interviewing.” After four years of IT recruiting experience in the staffing world, Lyndon joined the Northwell Health family as a Talent Acquisition Specialist in June 2016. In December of 2016, Lyndon was promoted and is now the Veteran Program Specialist for Northwell Health. In this role he leverages his background as an experienced recruiter and a United States Air Force Veteran to work with the Veteran community, helping to drive Northwell Health’s Veteran recruitment goals and efforts. Every current service member, transitioning service member, or veteran should know that Lyndon is here for you: your needs will be met, your questions will be answered and you will never be alone in this process. He is passionate and dedicated to assisting Veterans in their transition from Military service to a promising Northwell Health career. 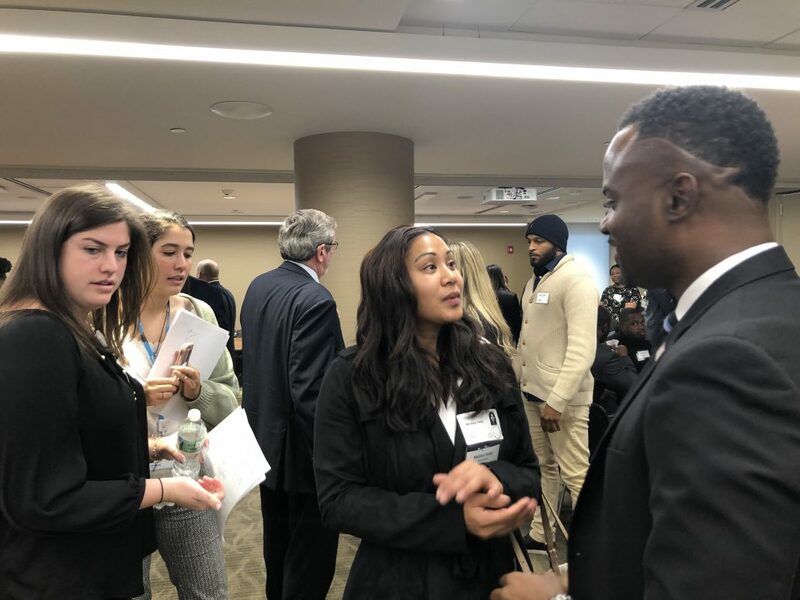 Read about Samantha Rosario’s experience within the Military, and how our Barracks to Business Workshop prepared her for a career at Northwell Health. 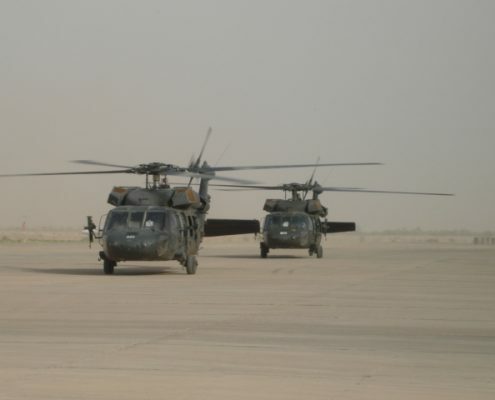 Each branch of the military bears a massive responsibility when training new soldiers. New recruits are trained in hand-to-hand combat, at the weapons range, and how to work together as a cohesive team. Preparedness of soldiers is essential to ensure not only a victory for the mission, but God-willing, a safe return for everyone. Once the solider has returned and his/her term is complete, it is almost as if the weight of responsibility has lifted off the branch’s shoulders and soldiers are given minimal training in their next mission in life, transition to the civilian world. A popular myth, and one I foolishly believed, was that finding a job, as a veteran, was going to be easy because employers love the skills and discipline veterans possess. While employers appreciate those traits, the real issue is if the applicant cannot communicate his/her skills on a resume. Northwell has recognized this dilemma and has committed itself to be the standard in job preparation training. Over the summer, I was lucky enough to attend one of these training seminars, entitled Barracks to Business, led by Anthony Silvera. During the course of 4 hours, I was challenged to clarify my skillset and experiences, determined my career goals, learned the importance of a job description and gained confidence for an interview. 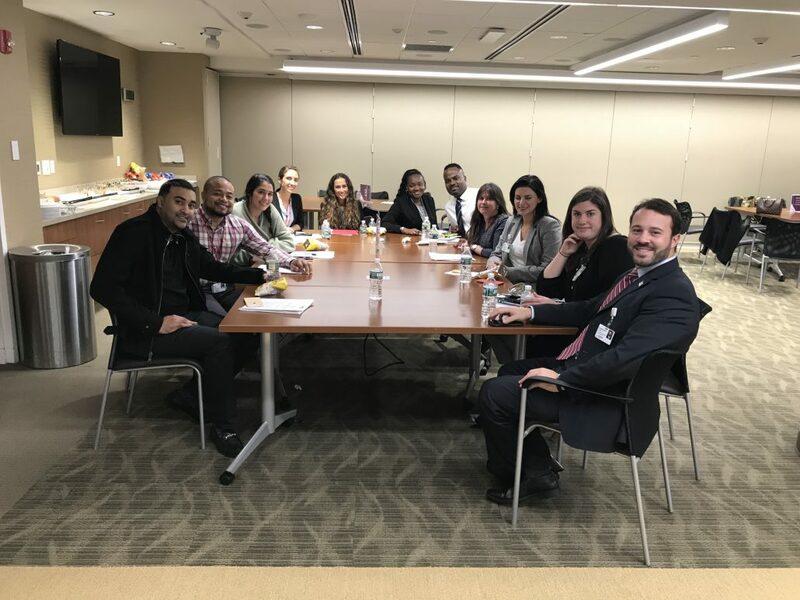 The success stories were inspiring and newly gained knowledge felt invigorating; that night I started revising my resume and focusing on finding a career within Northwell. 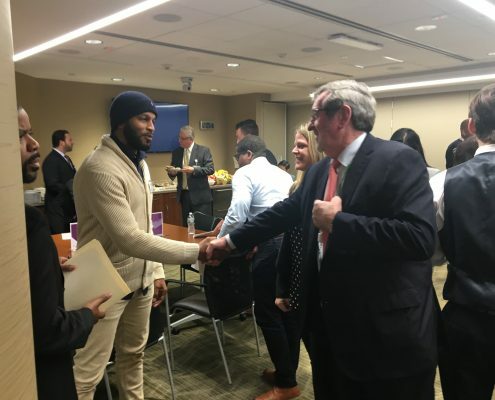 One of the most significant aspects of seminar was the support given after it ended and with the support of Mr. Silvera and his team, I eventually gained employment with Northwell. I am honored to work for an organization that dedicates so many resources to serve the needs of our country’s veterans and look forward to doing great things in my new role. Are you, or someone you know, a Veteran who is looking to build their professional skill set? Register to attend our next Barracks to Business Workshop today. 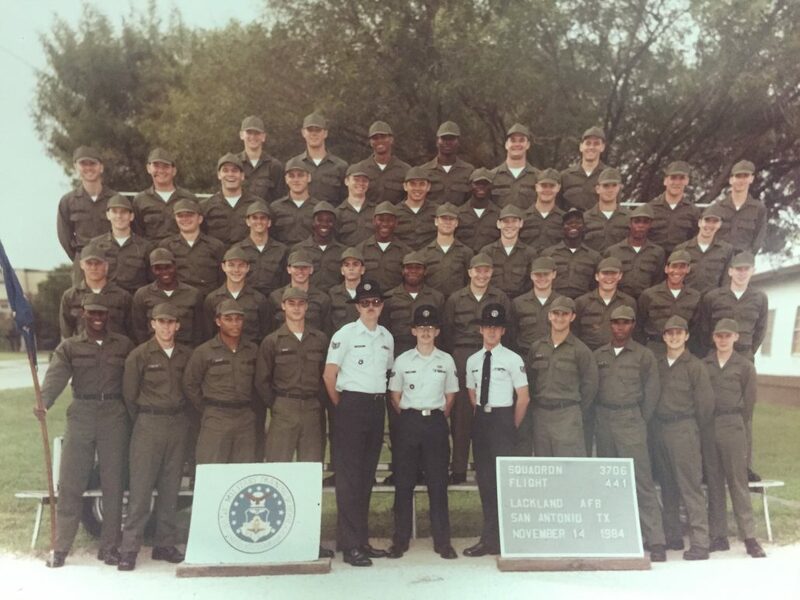 Thirty years ago on October 18, 1984 Anthony Silvera began his journey in the United States Air Force at Basic Military Training. 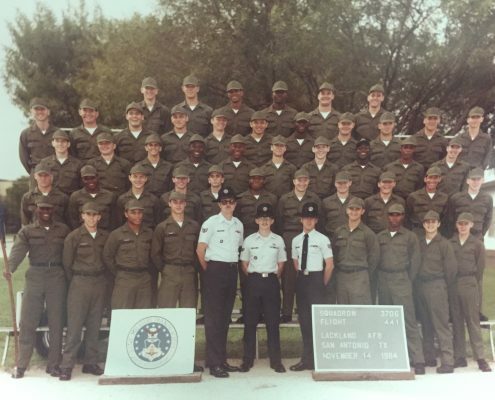 Little did he know during his 30 year career he would be able to serve as a Senior Non-Commissioned Officer and Commissioned Officer in roles such as a logistician, program manager, flight commander, and an instructor. He would be stationed in Germany, Texas, California, South Carolina and two year long deployments in Iraq. With extensive hands on experience, a hardworking attitude and the determination to succeed in civilian life, Anthony retired from active duty on December 2014 as a Major. 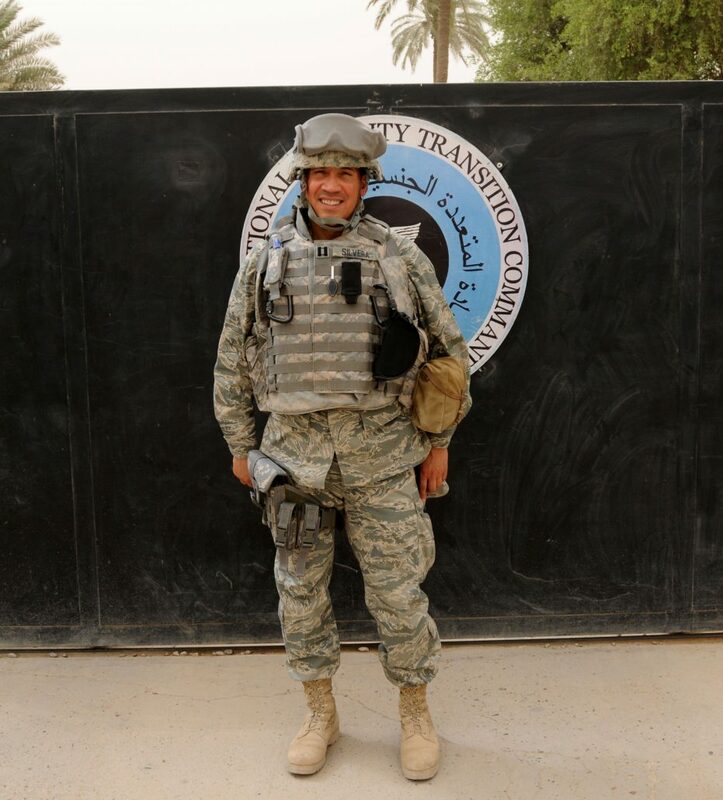 Although his transition wasn’t easy, he is now the Northwell Health Veteran Program Specialist and ready to help each Military member who is battling the same struggles he did. As the end of December 2014 brought a chapter of Anthony’s life to a close he was still excited to begin his journey and adapt to civilian life. With a polished resume and a suit freshly pressed he was ready to take on his first interview. Until he realized he didn’t have one. The lack of emails and phone calls left him unmotivated and confused- surely a man with 30 years’ experience and a college degree deserved a chance to prove himself in an interview. After months of frustration and interviews ending in “You’re terrific, but you’re just not qualified for this position” Anthony had about enough until one day a Veteran Case Manager from Eastern Seals got in touch with him. “I learned I was making all the classic mistakes. Applying for too many positions and not identifying the correct things on my resume. 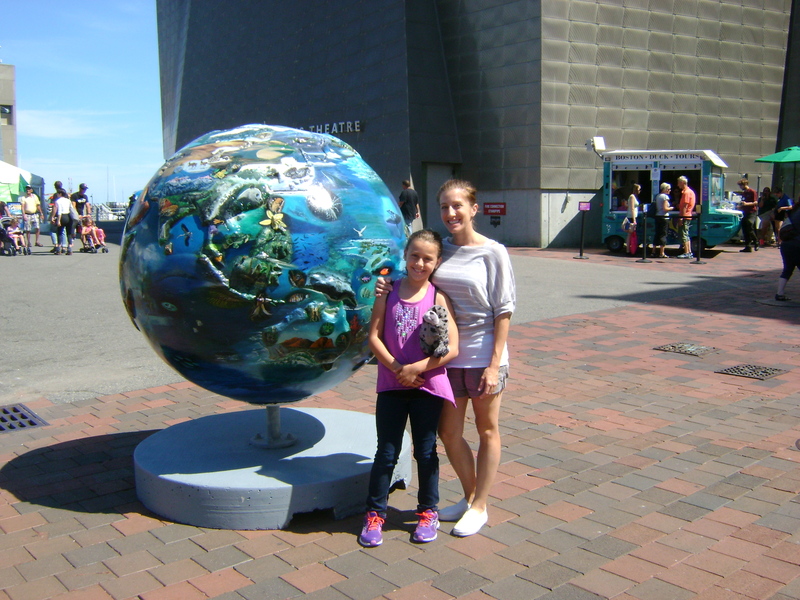 All simple things that I wouldn’t have known unless I was taught – I will never forget how Eastern Seals helped me get to where I am today” Silvera said. Every current service member, transitioning service member, or veteran should know that Anthony is here for you: your needs will be met, your questions will be answered and you will never be alone in this process. He is dedicated to developing, collaborating and managing all relationships and assisting in the transition of Military Veterans into a career here. Transition to a new mission with us. 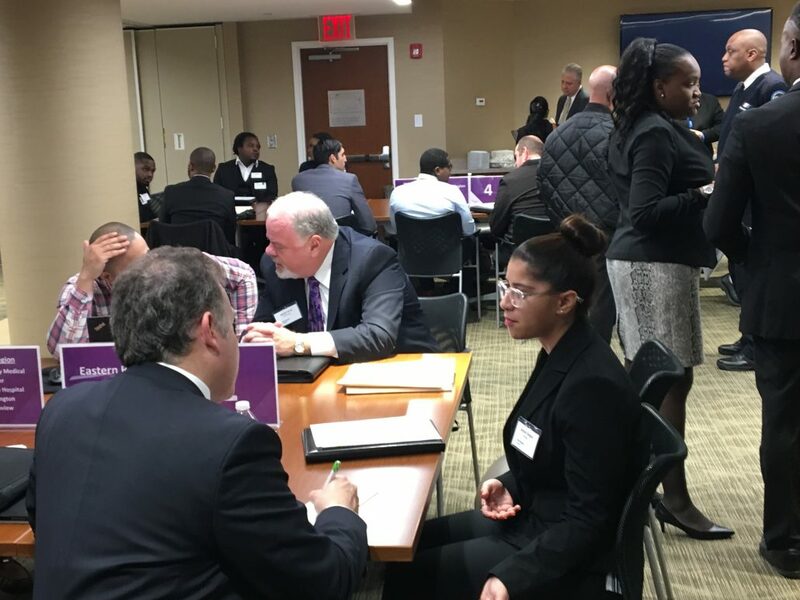 Attend one of our Barracks to Business: Translating Military Skills into Career Success Workshops, search our jobs or contact Anthony at asilvera@northwell.edu.